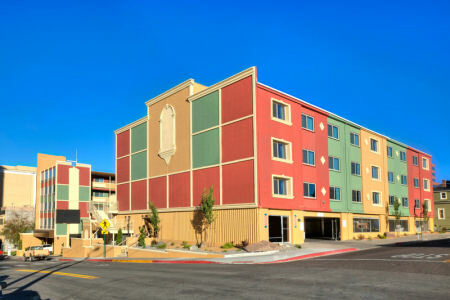 Enjoy 7 Nights at the Legacy Vacation Club Reno in Reno, Nevada! 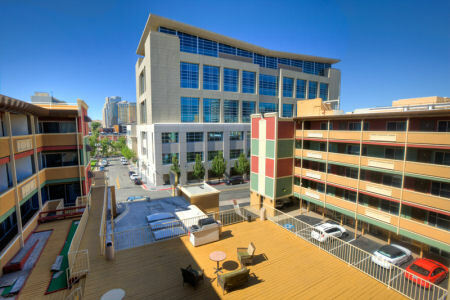 Glittering nightlife, famous casinos and a short drive to Lake Tahoe add up to make Legacy Vacation Club Reno resort an exceptional urban retreat. The resort’s refreshing indoor pool, sauna, fitness center, sun deck and putting green will keep you busy when you’re not out on the town. If you prefer the great outdoors, a one-hour drive to Lake Tahoe offers superb boating and water skiing in the summer. Winter snows bring world-renowned skiing to the area. In fact, within 90 minutes of the resort you’ll find the largest concentration of ski facilities in the world. So take a chance on a sure thing: Reno! Your STUDIO UNIT will sleep 4 guests and has a full kitchen. 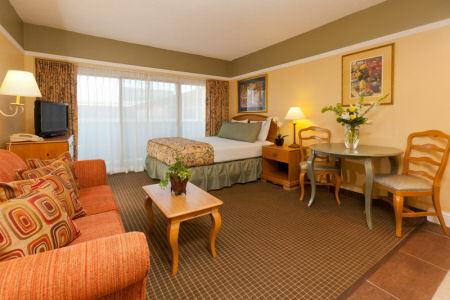 Your ONE BEDROOM SUITE will sleep 4 guests and has a full kitchen. on't see the date you're looking for? Click below to view and instantly confirm any availability up to one year from today. Just search your date range and destination in SkyAuction.com's NEW Vacation Rental Booking Engine!